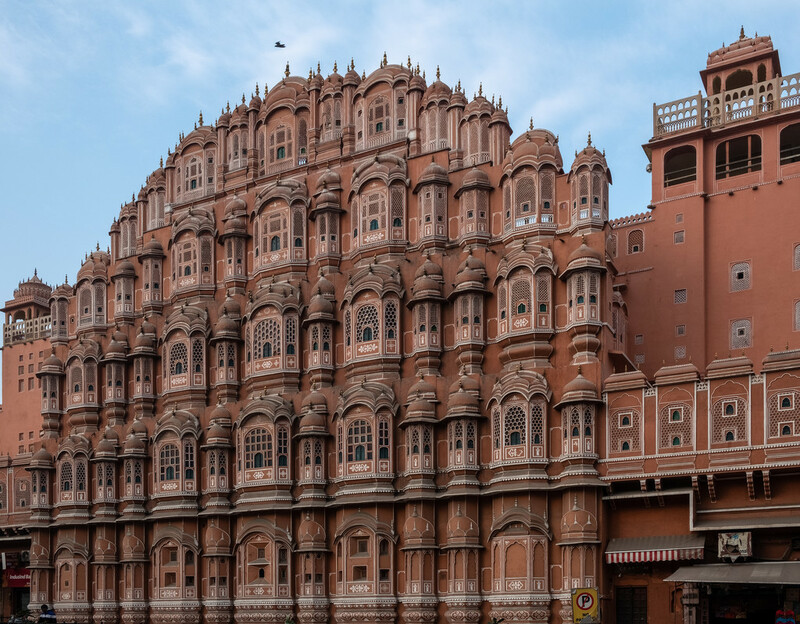 The Palace of the Winds (Hawa Mahal) is a must-see in Jaipur, the Pink City. Fascinating building, great history, home to zillions of pigeons nowadays. That is just incredible - like something from a fairy tale. @robz Incredible is exactly the right word Rob, did you read the link? Much of that front section is only one room deep. Wow what an incredible building! @pamknowler I've travelled a fair bit in Asia and never seen anything like it. @annied Thanks Annie, it's worth reading a bit more about it. Built for women to see out without being seen. Amazing architecture and these details! @haskar @salza @gardenfolk Thanks everyone. @onewing More like a plague thereof. @yaorenliu @gilbertwood Glad you liked it. @samae No worries, I often find knowing a bit more about something makes it much more meaningful. Fascinating place- and hard to believe it's the backside! Good shot. Great photo of an absolutely amazing building. The link you provided was very interesting, too. @olivetreeann No, no, no Ann, this is the front of the building so far as I know. @chejja Thanks, glad you enjoyed it. @jgpittenger Absolutely right. Truly amazing.